Pet birds, particularly parrots, are extremely social creatures and given the right training, will enjoy being the life and soul of any party. Being out and about in the fresh air and meeting new people will greatly benefit the health and wellbeing of your pet bird. As stated before in some of our previous blogs, parrots are very intelligent and need stimulation and interest to keep them happy. By gaining these in an external environment, they will demand less of your attention at home. 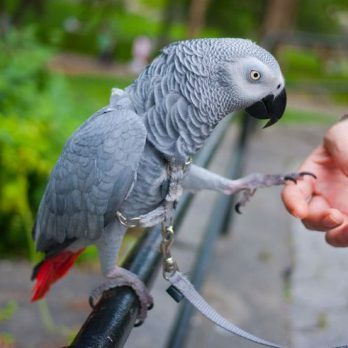 Training should be a process which will gradually build up the confidence of both you and your pet bird at being in social situations together. Don’t take a shy parrot to a loud event with lots of people. Here are a few tips to get started. Your parrot may not be ready for socialising this coming August Bank Holiday, but by starting off small and building up gradually, it might in time for Christmas! 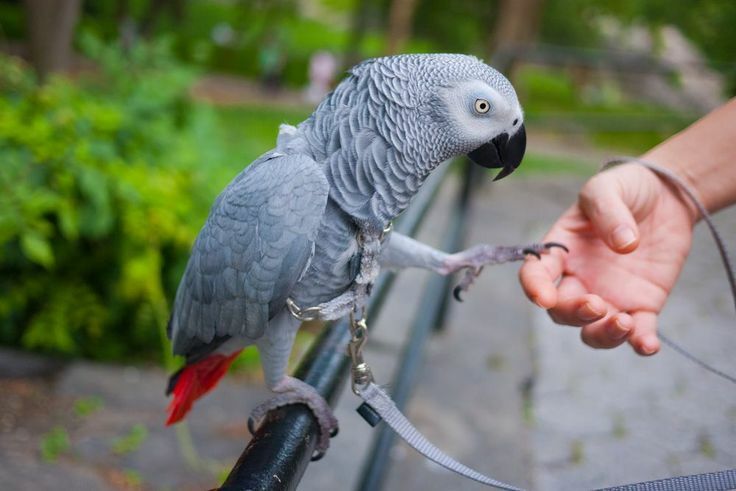 Consider getting a harness – If you do not 100% trust your parrot not to fly off, consider getting a harness for the first few outings. Let them get used to it by wearing around the house for a while before your first trip. Make the first event a positive one – It’s key that your first trip is stress free to give your parrot confidence. This means visiting somewhere you know will be quiet with just one or two people that your parrot already knows. Visiting a trusted neighbour or family friend for an hour or so is a great idea. Gradually increase the duration and intensity of visits – Your second trip could be a little further away and involve a car journey or a walk. If you are walking, pick a quiet route and remember to use your body as a human shield to protect your parrot from passers-by and traffic. Start allowing others to interact with your parrot – In a controlled environment, allow others to stroke and feed your parrot. Again, it’s important that this is in a quiet location and to build this up gradually. Attend a pet shop or parrot socialising group – A quick Google or Facebook search in your local area will reveal if there are any groups for parrot owners nearby. Your local pet shop should also be willing to allow your parrot to visit (remember to check first) and might be able to put you in contact with others. Be wary around children or where alcohol is served – It goes without saying that a calm and sober adult will be a lot less threatening to your parrot than a boisterous child or someone who is drunk. Be wary in these situations, as your parrot could bite if provoked, no matter how well trained. Make sure that wherever you take your pet bird to is safe – If there are other birds present, these do not have an infectious diseases. This is particularly important if you are planning to take your bird to a local show or pet shop. Taking your pet bird out is a risk – They might fly off and can be difficult to retrieve so it’s a good idea to ensure that your parrot is permanently identified, e.g. with a microchip. Once your parrot is comfortable with all the above, the sky is the limit. You could try taking them to the beach, taking them to parties, or even on holiday with you (if they have a passport). If your parrot is happy to socialise it will make looking after them a whole lot easier and a trip to the vets a piece of cake!